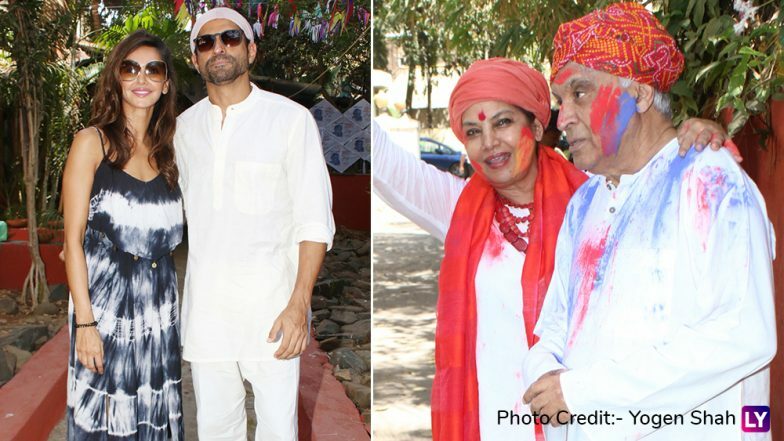 Javed Akhtar's Holi Party 2019: From Shabana Azmi's Dancing Poses to Shibani Dandekar and Farhan Akhtar's Festive Fun - View Pics! The festival of colours, love and never-ending fun, is here. Holi brings people together, as they play and dance, drenched in the gala colours of festivities. 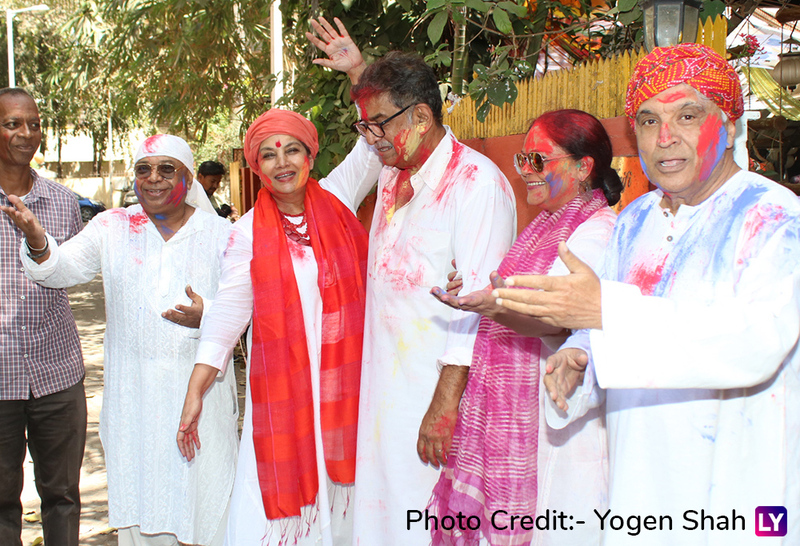 While many Bollywood celebrities will be a part of several Holi parties today to celebrate the festival with their fans, it is family and friends’ time for the Akhtar family. 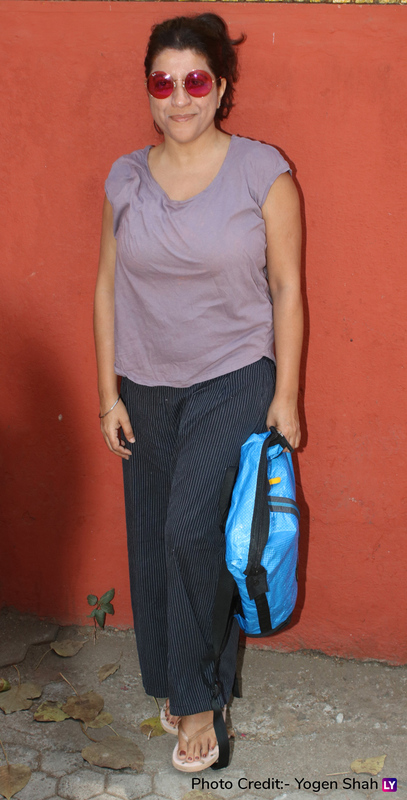 Javed Akhtar and Shabana Azmi began their day with the splash of colours with friends and children - Farhan Akhtar and Zoya Akhtar. 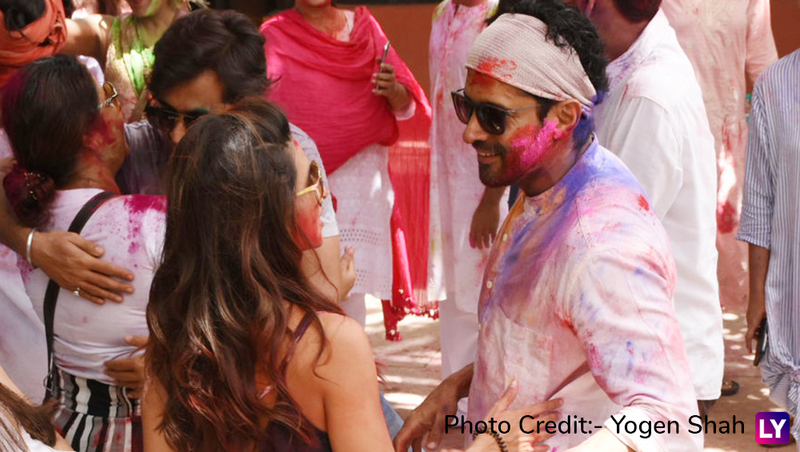 Interestingly, Shibani Dandekar accompanied beau Farhan to the Holi celebrations. Happy Holi 2019: Bollywood Celebrities Akshay Kumar, Amitabh Bachchan, Karan Johar Extend Their Wishes to Fans On the Festive Occasion. 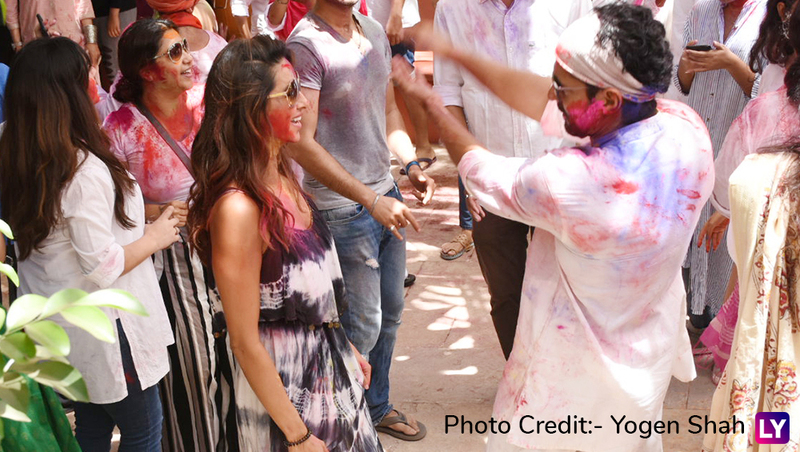 In the Holi pictures, Shabana and Javed can be seen dancing and playing with colours. 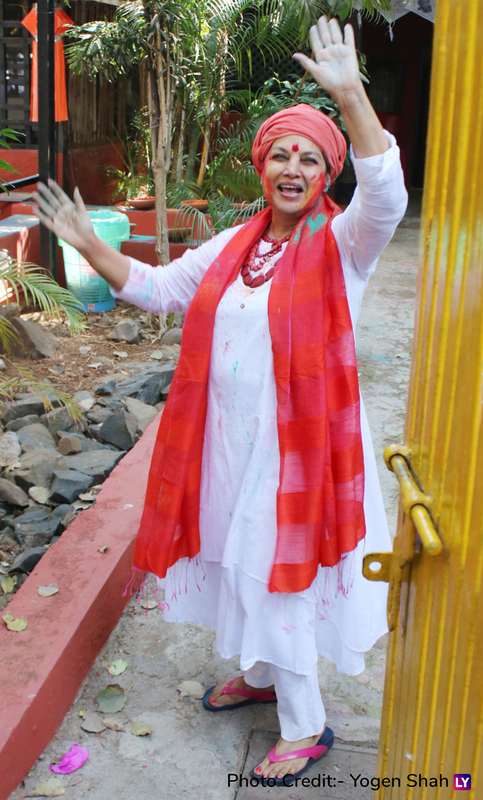 But Shabana steals the show, with her adorable Holi poses and dancing. 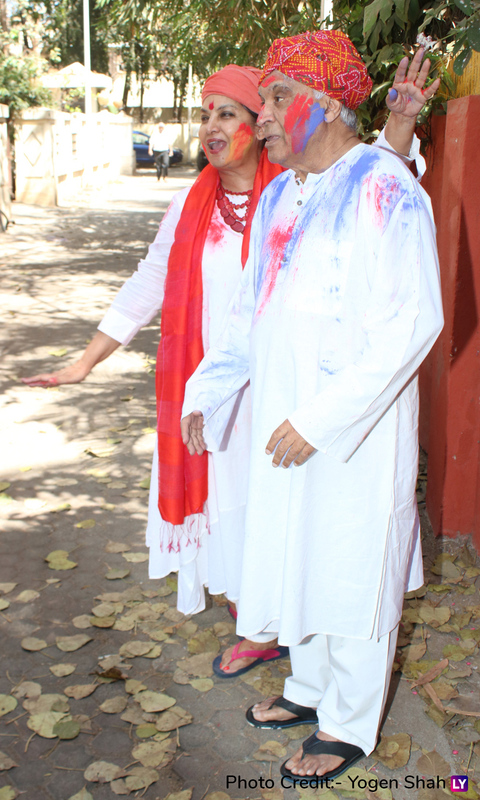 Dressed in white, the husband-wife duo is all hearts with Holi colours splashed on them. Farhan, Zoya, and Shibani later join the party. We are sure you are having the most colourful time of the year, as colours are smeared all over the place. We wish you all a very Happy and Safe Holi with colours. Stay tuned for more updates from your favourite celebrities.